This bull is genetically potent and phenotypically incredible. 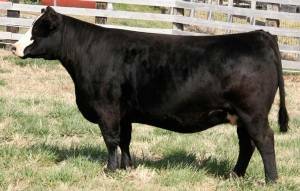 We believe the cattle business and the Simmental breed will be appreciative of this dynamic bull. Whether it is his ideal body mass, ridiculous softness of body, correctness of skeleton, flexibility of joints, looseness of structure, or proven cow family behind him Upper Class will impress you. He was born at a time where cattle built of his nature and bred with his genes are truly needed. We realize he is not suited for everyone but those that have seen him have been amazed. 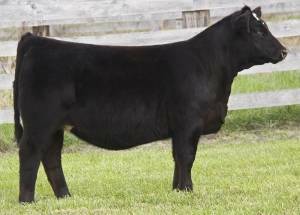 To add to his resume he is homozygous black and homozygous polled, has a useful set of performance EPDs and wears white on his face. His oldest daughters are in production and are making awesome mothers to solidify his final mark of approval. 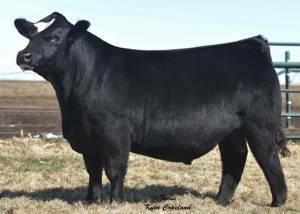 The Simmental breed has been blessed by the presence of his sire Upgrade, the entire industry has been marked by Meyer 734 and let's not forget the power of Coleman Donna 386. 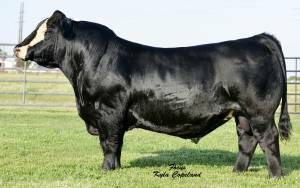 Longevity, predictability, and potency are bred in this proven stud. The homework has been done just tie into him.